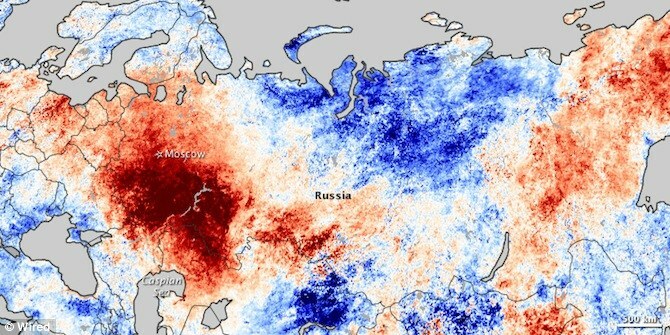 A massive heatwave in Russia and the current devastating floods in Pakistan could be linked by the unusual behaviour of the jetstream, scientists believe. 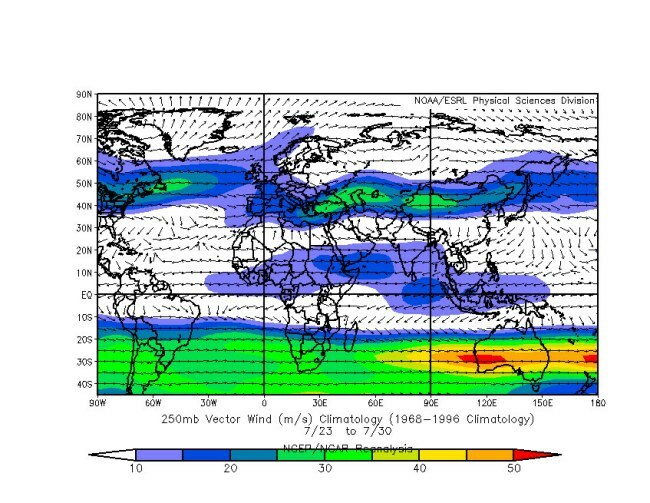 The jetstream is the high-altitude wind that circles the globe from west to east and normally pushes a series of wet but mild Atlantic lows across Britain. But meteorologists who study the phenomenon say that it is producing unusual holding patterns which keep weather systems in one place and produce freak conditions. 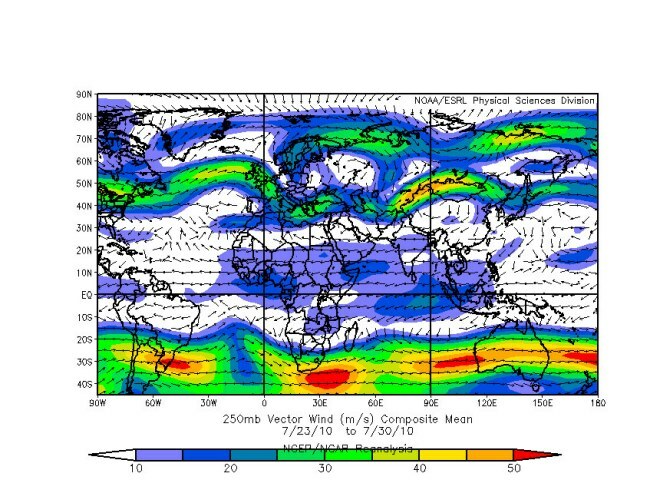 The jetstream is being held by the Rossby waves that normally produce its distinctive wave-like pattern. These powerful spinning wind currents are caused by the Earth’s shape and rotation and push the jet stream from east to west at high altitudes. Now scientists believe that Rossby waves are acting against the jetstream’s usual pattern, holding it in place, according to a report in New Scientist. Since mid-July, when it would normally be moving eastwards the jetstream has been held in one place as strong Rossby waves push against it. When the jet stream is held in one place it traps the weather systems that are caught between its meanders. Warm air is sucked north to the ‘peaks’ while cold air travels to the ‘troughs’. Professor Mike Blackburn of the University of Reading believes that a blocked jetstream could be behind a heatwave in Japan which killed 60 and the sudden end to warm weather in the UK. In Pakistan, the blocking event took place at the same time as the summer monsoon, with tragic consequences. Floods triggered by heavy monsoon rain over much of Pakistan began nearly two weeks ago and have killed around 1,600 people and forced more than two million from their homes. Many survivors from flooded villages have lost their stores of food as well as crops and livestock and are surviving on relief handouts. In Russia, the immobile jetstream pulled in hot air from Africa creating stifling conditions and horrendous smog in Moscow. Scientists are still unclear as to the cause of ‘blocking events’ although there have been some research that linked them to low solar activity.